What are people’s impressions of Romania today? Generally, they tend to run along two lines. The first dates from twenty years ago and the fall of the country’s communist regime. Dictator Nicolae Ceausescu and his wife Elena were executed in a military-style trial on Christmas day 1989. This brought to an end more than forty years of iron rule and suppression, and the television coverage that followed stamped upon people’s minds the plight of Romanian citizens and most especially its children. The second possibility is more contemporary. 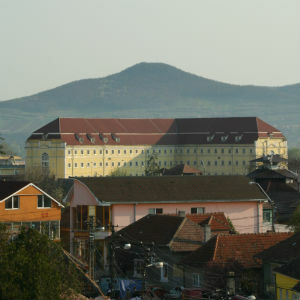 It’s linked to a feared invasion of Romanian people on 1 January 2014, when Romanian nationals will be allowed free access to the UK labour market. Newspaper horror-predictions of overloaded hospitals and unjustifiable social security payments abound. People assume that Romanians, and especially the Roma, are bent on exodus from their home country and that an already-creaking UK economy will be burdened beyond what it can bear. Romanians, therefore, have been unofficially granted “least welcome immigrant” status in many people’s minds, without their ever have actually met one. These, for better or worse, are people’s impressions. But what about reality? Or at least a convinced Romaniaphile’s thoughts, following repeated visits? Let’s try to sums things up by using a number of words. The first of these is beauty. Romania possesses extraordinary scenery, perhaps to rival any in Europe. Admirers include Prince Charles, who owns transylvanian properties and estates, journalists, who have described the countryside as “transcendent”, and twitchers, who rank the Danube delta and its three hundred species of bird as one of the finest bird-watching locations in Europe. 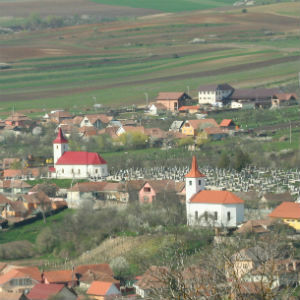 To the ordinary visitor, however, enjoying the rural pace of one of Romania’s countless small villages, with its medieval horse and carts, mud-walled houses and well-tended smallholdings, the overwhelming sense is of time standing still, and of peace being available in abundant supply. Such, however, may be misleading, as the second word is communism, whose dark and now-historic shadow still falls on the Romania of today. Romania, throughout its entire history, has never experienced a prolonged period of political stability. It’s hard for us in the UK to imagine a thousand plus years of foreign conquest and constantly re-drawn borders, but such has been the Romanian experience. Its darkest chapter, however, began in secret conference in Moscow in 1944, where Winston Churchill agreed a 90% stake in Greece for Jozef Stalin receiving a similar level of control over Romania in the event of an allies victory in the Second World War. The following year saw the advent of four decades of communism. One million Russian soldiers entered Romania in 1945, heralding the start of regime marked by the brutal suppression of all rival voices and ideas. Faithful Christians were amongst the first to suffer, and suffered most. Richard Wurmbrand, a Christian Jew and pastor, endured twelve years in prison, where he was subject to regular beatings, periods in solitary confinement and attempts at brainwashing. Communist informers, eventually one-quarter of the population, would attempt to mislead prisoners’ wives into thinking their husbands had died, sometimes prompting remarriage and terrible heartbreak upon a prisoner’s release. Others in the country, however, suffered terribly as well. 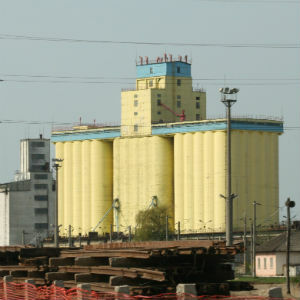 The economic success of Nicolae Ceausescu’s first six years proved to be something of a false dawn. Historians claim that visits to North Korea and China by the Ceausescu’s and their witnessing there of personality cults started a drift into megalomania and colossal political folly. A desire to increase the nation’s population, with special awards being given to mothers of five, seven or even ten children, created a generation of infants for whom families couldn’t provide. Heavy industry, so beloved of communist government, produced cars and washing machines that were substandard in quality and therefore difficult to sell in international markets. Indebtedness to foreign nations resulted, and the crazed drive on the part of Ceausescu to repay this by exporting huge quantities of Romanian goods resulted in semi starvation across country and the overthrow of communism on Christmas day, 1989. And yet, without a doubt, communism’s long shadow still falls on the Romania of today. It’s seen architecturally, with cities containing sections of concrete tower blocks originally intended for communist workers. It’s also present among the older generation, in their hardy resilience to suffering and at times their subdued spirit. It’s also visible in positions of authority, where “extremely strong” might be the politest way of describing Romanian leadership. But, most positively, it’s seen in the deep Christianity of many older pastors, whose faithfulness during persecution has etched upon them a strength and a grace little known to us here in the west. The third word, and sad consequence of much of the above, is poverty. Perhaps this accords with our expectations of Romania, and yet the details may surprise us. An average salary in Romania is approximately £200 a month, for which an employer must pay a similar amount to the Romanian government in the form of taxes. The cost of living is broadly comparable to that in the UK, with petrol costing about £1.10 a litre, eggs £1 a dozen, and heating bills about £80 a month. Although houses are significantly cheaper (with £15,000 securing you a very comfortable village property), other items, such as second hand cars and luxury watches, are much more expensive. The overall result is financial pressure, and a prevailing “money-consciousness” throughout the nation. And then you have the Roma villages, which seem transported from a third world country and one of its shanty towns. Their one-roomed houses, often decrepit, yet sometimes with brightly coloured walls, almost look romantic on a summer’s day. The winter experience, however, is anything but. In such villages, abandonment of children by parents, near starvation and multifarious illnesses are the common lot of life, and largely the consequence of financial desperation. 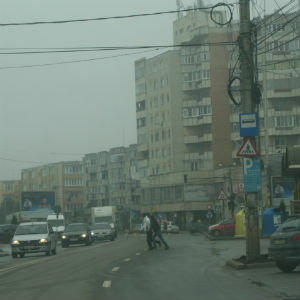 Extreme poverty in Romania, therefore, might be rarer than it was twenty years ago, but pockets remain, and jolt visitors out of any sense of complacency each time they are seen. 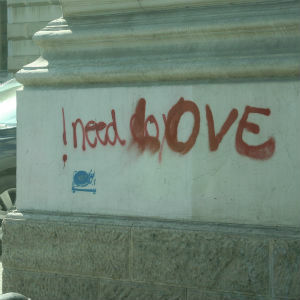 The fourth word is the warmth of so many of Romania’s people, especially the Christians. Romanians, in general, are more capable then their British counterparts when it comes to practical matters, and much more capable than an absent minded English church worker (Adrian)! Fairly advanced carpentry skills seem to be the possession of most, with almost all houses displaying evidence of this in some form or other. 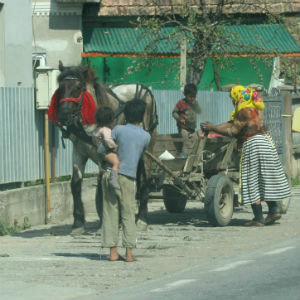 Romanians, also, are often very hardworking. Village life in previous generations required 16 hours of manual labour each day during the harvest, and in such areas the cultural imprint remains. Romanians are remarkably hospitable. If an Englishman’s home is his castle, a Romanian’s home is his guest house, and you will immediately be made welcome. But the most important word in relation to Romania is spirituality. This is the great lens through which Romania must be viewed – both its plight and its history make it one of the great spiritual harvest fields of the world! How things have changed since the communist era, when anti-Christian rhetoric dominated Romania’s schools! Today, the dominant party is the Romanian Orthodox Church. 17 million people out of a total population of 22 million are members, and its hold on public consciousness is strong. It is reported that Baptist churches contain approximately 400,000 members, but such a number is hard to verify. 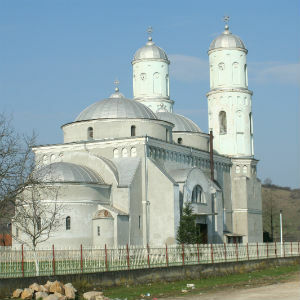 Romanians, in general, are people of faith. A pastor’s wife once said to Adrian that to ask a Romanian if he believes in God is to insult him. A cross at the roadside will often greet you as you arrive at a village, and a second bid you farewell as you leave. There is also a prevailing sense, especially in villages, that everyone should go to church. Cults, sadly, capitalised on the spiritual openness that followed the 1989 revolution. A Jehovah’s Witness Kingdom Hall in an obscure, remote village is a common enough sight. An equally common sight is that of good Christians being held back by a lack of funds. A Bible College reports that good candidates are unable to enrol each year due to financial limitations. And yet the opportunities are there! The fields are white for harvest, but the labourers are few. Therefore pray to the Lord of the harvest to send out workers into His field!